Stars in globular clusters  are generally extremely old, with ages of 12-13 billion years. However, a small fraction of them appear to be significantly younger than the average population and, because they seem to have been left behind by the stars that followed the normal path of stellar evolution and became red giants, have been dubbed blue stragglers . Blue stragglers appear to regress from "old age" back to a hotter and brighter "youth", gaining a new lease on life in the process. A team of astronomers used Hubble to study the blue straggler star content in Messier 30, which formed 13 billion years ago and was discovered in 1764 by Charles Messier. Located about 28 000 light-years away from Earth, this globular cluster — a swarm of several hundred thousand stars — is about 90 light-years across. Although blue stragglers have been known since the early 1950s, their formation process is still an unsolved puzzle in astrophysics. "It’s like seeing a few kids in the group picture of a rest-home for retired people. It is natural to wonder why they are there," says Francesco Ferraro from the University of Bologna in Italy, lead author of the study that will be published this week in Nature . Researchers have been studying these stars for many years and knew that blue stragglers are indeed old. They were thought to have arisen in a tight binary system . In such a pair, the less massive star acts as a "vampire", siphoning fresh hydrogen from its more massive companion star. The new fuel supply allows the smaller star to heat up, growing bluer and hotter — behaving like a star at an earlier stage in its evolution. 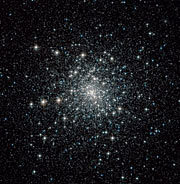 Globular clusters are dense agglomerations of several hundred thousand stars. Present among the earliest inhabitants of our Milky Way, they formed in the vast halo of our galaxy before it flattened to form a pancake-shaped spiral disc. 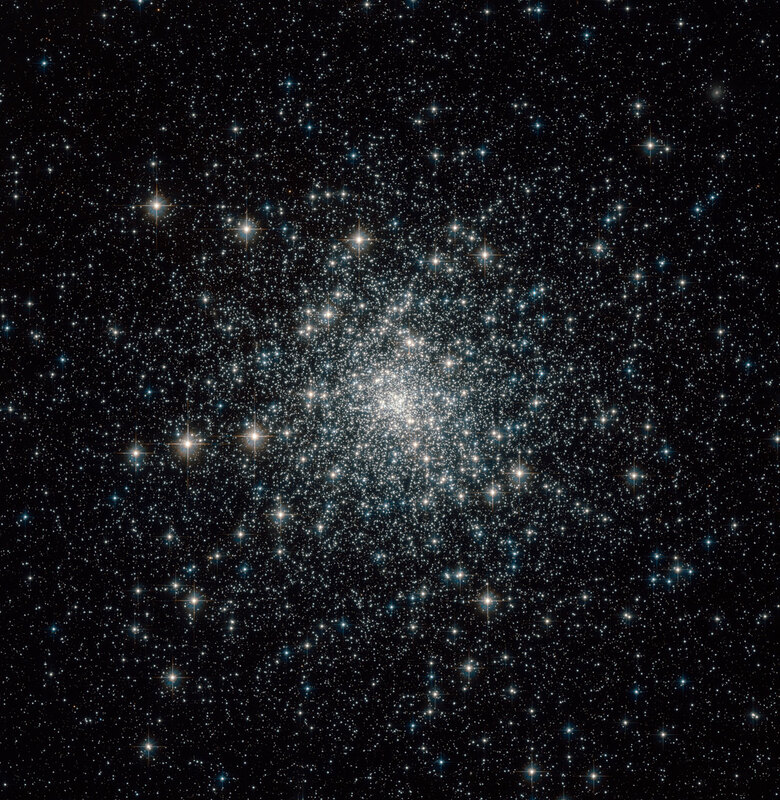 Star formation essentially stopped in globular clusters 13 billion years ago, so astronomers expect to find only old stars and they use globular cluster ages as a benchmark for estimating the age of the Universe. In 1953, astronomer Allan Sandage found a puzzling new population of stars that seemed to go against the rules of stellar evolution in globular clusters. 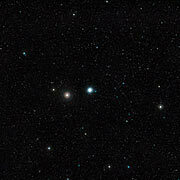 Sandage detected hot young blue stars in the globular cluster Messier 3, and subsequently in other globular clusters. 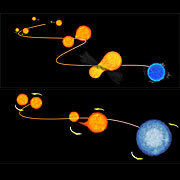 He dubbed them stragglers because they looked like they were trailing or left behind by other blue stars in the cluster that had long ago evolved to the red giant stage. 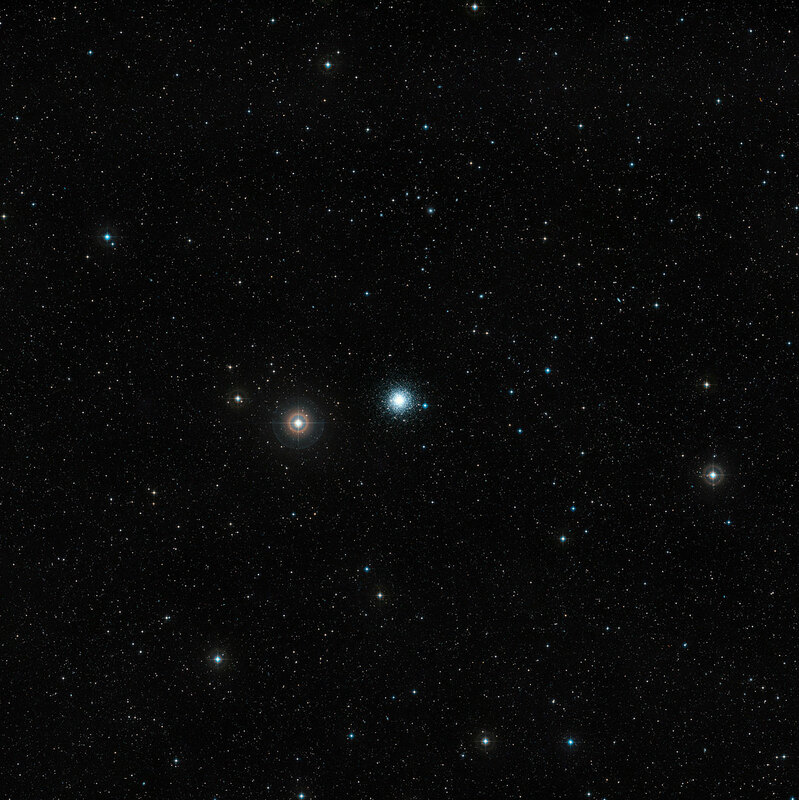 This research was presented in a paper that appears in the 24 December 2009 issue of Nature, “Two distinct sequences of blue straggler stars in the globular cluster M30”, by F. R. Ferraro et al. In 1964 astronomers Fred Hoyle and W.H. 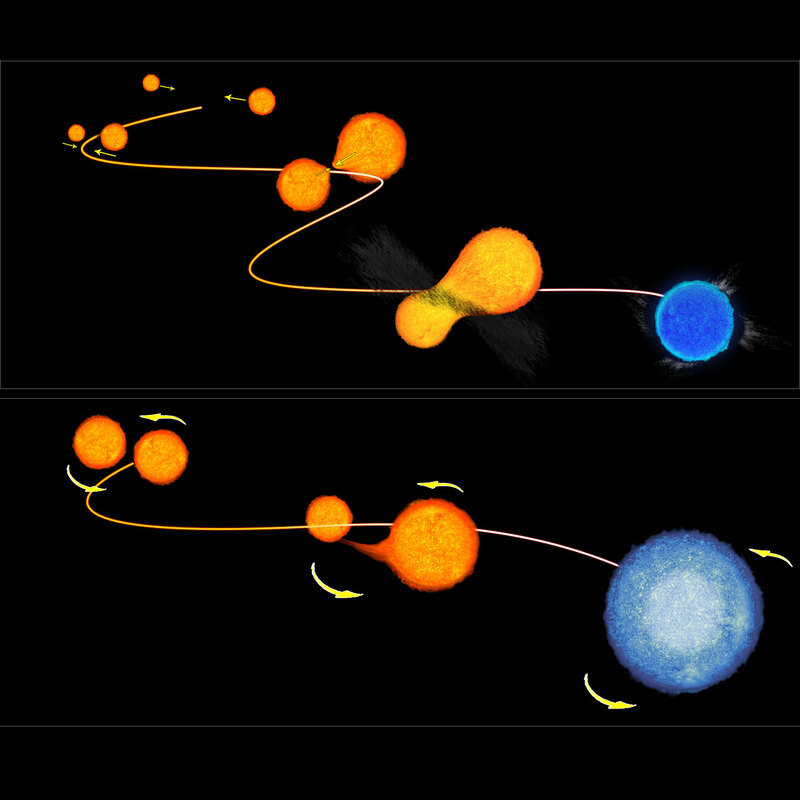 McCrea independently suggested that blue stragglers result when two stars capture each other and form a tight binary system.